For the past century, California, particularly Southern California, nurtured and invented the suburban dream. The sun-drenched single-family house, often with a pool, on a tree-lined street was an image lovingly projected by television and the movies. Places like the San Fernando Valley – actual home to the "Brady Bunch" and scores of other TV family sitcoms – became, in author Kevin Roderick's phrase, "America's suburb." This dream, even a modernized, multicultural version of it, now is passé to California's governing class. Even in his first administration, 1975-83, Gov. Jerry Brown disdained suburbs, promoting a city-first, pro-density policy. His feelings hardened during eight years (1999-2007) as mayor of Oakland, a city that, since he left, has fallen on hard times, although it has been treated with some love recently in the blue media. As state attorney general (2007-11) Brown took advantage of the state's 2006 climate change legislation to move against suburban growth everywhere from Pleasanton to San Bernardino. Now back as governor, he can give full rein to his determination to limit access to the old California dream, curbing suburbia and forcing more of us and, even more so our successors, into small apartments nearby bus and rail stops. His successor as attorney general, former San Francisco D.A. Kamala Harris, is, if anything, more theologically committed to curbing suburban growth. Sadly, much of the state's development "community" has enlisted itself into the densification jihad. An influential recent report from the Urban Land Institute, for example, sees a "new California dream," which predicts huge growth in high-density development based on underlying demographic trends – like shifts in housing tastes among millennials or empty-nesters rushing to downtown condos. Yet it's not enough for the planners, and their developer allies, to watch the market shift and take advantage of it. That would be both logical and justified. But the planning clerisy are not content to leave suburbia die; it must, instead, be cauterized and prevented, like some plague, from spreading. Ironically, it turns out that the "new California dream" is more widely shared by planners and rent-seeking developers than by the consuming public. During the past decade, when pro-density sentiment has supposedly building, some 80 percent of the new construction in the state was single-family, a rate slightly above the national average. Over time, Californians continue to buy single-family houses, mostly in the suburban and exurban periphery. They do it because they are like most Americans, roughly four of five of whom prefer single-family houses, preferably closer to work but, if that proves unaffordable, further out. Meanwhile, some of the urban-centric residential construction now being put up will, as occurred in the housing bust, may be fashionable but, in some cases, not so profitable over time. Construction is being driven mostly by tax breaks, Uncle Ben's essentially ultralow-interest money for wealthy investors and, in some cases, subsidies. Overall, the Wall Street Journal notes, the rental market is beginning to "lose steam," as people again start looking into buying homes. This may suggest that new speculative building in places like downtown Los Angeles – where there's good evidence that rents and occupancy levels are, if anything, getting weaker – may end up in tears. To date, the anti-suburb jihad has been somewhat constrained by the recession and the collapse of the housing bubble about five years ago. But now that there's an incipient housing recovery in parts of the state, including Orange County, the constraints could be problematical, particularly for younger buyers about to start a family or for people migrating into the state. The impact may be felt first in Silicon Valley and its environs. The planners now dominating the Bay Area want only highly dense bus-stop- or train-oriented development in the valley. Yet, notes real estate consultant John Burns, this does not reflect market realities marked by what they describe "as a resilient and ongoing preference for single-family homes." Even more fanciful, they are promoting high density in areas, far distant from current employment centers, in dreary locales like Newark, south of Oakland, claiming workers there will take public transit to jobs in the Valley. The belief among planners and some gullible developers that aging millennials will choose to live in high density, far from costly San Francisco or Palo Alto, and commute to work by transit is somewhat north of absurd; today, a bare 3 percent of workers in Silicon Valley get to work by transit, and downtown San Jose, the logical terminus of any transit strategy, is home to barely 26,000 of the region's 860,000 workers. Some tech workers may put up with a few years of high rents and shared apartments in San Francisco or Palo Alto, but not many will want to live in expensive towers far from both Silicon Valley's primary employers and the amenities of the big city. Apple's plans for a new headquarters in Cupertino has drawn criticism from green-minded urbanists precisely because they rest on the sensible presumption that Apple's workforce will remain largely suburban and car-oriented. One can also wonder the effect on the start-up culture when workers have been forced to live in places lacking the proverbial garage or extra bedroom that historically have nurtured new firms. More important still, forced densification, by denying single-family alternatives, is likely, and in some places, already is, spiking prices, which are up $85,000 in Silicon Valley in a year. This, over time, will force millennials, as they age, to look for other locales to meet their longtime aspirations. Generational chroniclers Morley Winograd and Mike Hais, in their surveys, have found more than twice as many millennials prefer suburbs over dense cities as their "ideal place to live." The vast majority of 18-to-34-year-olds do not want to spend their lives as apartment renters; a study by TD Bank found that 84 percent of them hope to own a home. If California is not willing to meet the needs of its own emerging middle class, there's no doubt that other states, from Arizona and Texas to Tennessee – although not as fundamentally alluring – will be, and are already, more than happy to oblige. Submitted by perry22 on Sat, 05/25/2013 - 11:23. Submitted by Sam B on Mon, 04/29/2013 - 15:50. We're in a new century. 1. Abandonned Warehouses will be turned into Indoor Farms. 2. More Green spaces, slighty denser populations, but more privacy. Observe how the Japanese pull this off. 3. More...not fewer....private cars(transportation)....possibly centrally controlled on major thoroughfares. GPS tracking, computer timing, etc. 4. Distributed Energy Production. All solar roofs everywhere. Grid maintained by traditional concentrated power plants.....possibly nuclear. (fusion power is not far off). 5. Environmentally Controlled Urban Zones. The old "futuristic" domed city....the air constantly filtered for polutants that are recycled. 6. Trash is mined for all materials, paper, organics, glass, plastics, rare earths, and not-so-rare earth metals. Submitted by Sam B on Mon, 04/29/2013 - 15:42. Still trying to understand what is wrong with suburban sprawl?? From my point of view, the suburban sprawl disperses all the negative aspects of crowded urban living. Poisonous fumes, unhealthy living conditions, crime, corruption. The Planners forget. There were some major reasons why everyone was happy to spend more money on cars and gas and whatever....to ESCAPE crowded urban environments. 20th Century Cities were NOT the utopian dream that the intellectual Urban Planner claims they were. Would it not make some sense to adapt to a very positive development of "suburbs"??? Specifically in California....the challenge is that in the Bay Area......there is simply no land left to economically develop as suburbs.....therefore it is necessary for planners to come up with ways to sustain the suburbs as livable spaces, create greenspaces, make better use of energy resources, etc. The same concept applies to Los Angeles Basin, the San Fernando Valley, and Orange County. 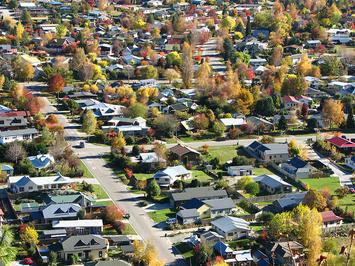 there's simply no more land to develop in the traditional suburban pattern! Submitted by asusquite on Mon, 04/01/2013 - 09:27. It's a nice article. Seniors wishing to take advantage of today’s low interest rates by refinancing their reverse mortgage California will pay less fees, and receive other consumer protections, according to a new regulati ….. . To learn more about Reverse Mortgage simply search in google by reverse mortgage lenders direct . Submitted by PhilBest on Wed, 02/27/2013 - 16:35. ".....Meanwhile, the less-affluent of all ethnicities continue to move further out, to places like the Inland Empire or the further reaches of the Bay Area. These peripheral areas have continued to represent the vast majority of growth...."
Exactly. As I have said before: “DRIVE TO QUALIFY” IS REAL. This term is commonly used by the real estate and mortgage industries to refer to the phenomenon that housing tends to get progressively cheaper and hence within the mortgage servicing capability of buyers, the further away from the established centers of cities one gets. Dr Kara Kockelman of the University of Texas, some of whose research is referenced in the “Costs of Sprawl” study, has done further research since with the same outcomes. Downs makes a lot of the point that the more expensive houses are relative to incomes, the more incentive there is for households, especially first home buyers, to locate further away from CBD's, because the savings on housing costs are greater than the additional cost of travel (assuming employment is in the CBD). proximity to the ocean had more influence on prices—as in Southern California. Meanwhile, longer-distance commutes added to fuel and travel-time costs by about the same amount per mile in every region. The study also found that per-mile housing-cost savings from added commuting distance were much larger in regions with absolutely very high housing costs than in those with absolutely low housing costs. Therefore, it was more likely to be economically worthwhile for households to move further out to gain cheaper housing in high-housing-cost regions such as the San Francisco Bay and Boston areas, than in low-housing-cost areas......."
There are studies which purport to prove otherwise. These studies all suffer from the fatal flaw that they compare the actual current “housing” cost of incumbent households – including people whose mortgages are already paid off, or nearly so, and whose “housing” costs are next to nothing. This misses the point that a new buyer of the same often quite high-value homes would certainly achieve much lower “housing plus transport” costs by buying further away. In fact, even the incumbents with mortgages paid off, would improve their financial position by cashing up their high value property and moving further away. A basic understanding of the underlying logic of urban economics would immediately make us suspicious of the flawed claims referred to above. If a situation ever does exist in an urban economy, where real-life comparable “housing plus transport costs” got lower the closer one gets to the city's most significant concentration of jobs and amenities, the workings of free markets would ensure that enough people would very soon relocate more efficiently, that this situation would reverse. Markets do not find their equilibrium at a price where supply is in excess of demand. Advocates who insist that this disequilibrium exists, are blinded by a mythology that people really do have an irrational “love affair with their car” and actually enjoy their daily traffic congestion so much that they will not even rationally act to improve both this situation (which nobody actually regards as anything other than frustrating and a waste of time) and their financial situation. Of course there might be lower “housing plus transport costs” in the case of a very much smaller “home” near a city's CBD, but urban real estate markets will find their own level, and the simple reason that households are not flocking to smaller and smaller homes in more and more efficient locations, is that these homes simply do not meet their requirements for other attributes in a home, particularly space. Submitted by PhilBest on Wed, 02/27/2013 - 16:39. "Investigating Private Motorised Travel and Vehicle Fleet Efficiency: Using New Data and Methods to Reveal Socio-Spatial Patterns in Brisbane, Australia"
Lower income earners are being forced into the worst locations, by high house prices; they end up with the longest commutes, and can only afford the least efficient cars. Gibbons, Overman and Resende, in “Real Earnings Disparities in Britain” (2010), point out that the way the housing market works in Britain, acts as a “multiplier” of initial income disparities, regarding social outcomes. This is certainly because of policies that force up the cost of urban land and attempt to concentrate employment in ways that can be served better by public transport – but low income earners get priced out of the locations served by public transport. Peter Hall et al pointed this out back in 1973 in their report, “The Containment of Urban England”. Far superior outcomes result from allowing relatively free markets to decentralise employment and urban amenities, and keep economic land rent low and highly dispersed in cities, rather than concentrated. This is why the low density, “sprawled”, affordable-housing US cities actually have highly competitive average commute-to-work times, AND far higher housing quality enjoyed by medium and lower income earners. I have also pointed out occasionally that the same policies that are designed to increase commuter rail travel mode share (as if this is an end in itself) actually undermine the potential for “walk to work” mode share. Ironically, the “dispersed” urban form with low land costs and as little concentration as possible of location-advantage housing cost “premiums”, works not just to keep car commutes short in time, but allows maximum scope for people who might want to buy a home close enough to work to walk there. Heavily centralised urban form results in “amenity”, such as walking to work, to be captured by the highest income earners who can afford the prices where the amenity is concentrated. The same applies to proximity to green space and to other urban amenities. Radial public transport routes tend to “converge” closer to a city centre and hence services at these locations are extremely frequent; these locations too, tend to be “priced” so that only higher income CBD workers enjoy them. The very large subsidies involved in commuter rail services are overwhelmingly captured by higher income earners and the owners of property rendered more valuable by the “planning” that is designed to maximise the ridership. Lower income earners are forced into expensive long distance, highly congested car commutes; OR they might be able to afford to locate on a commuter rail route 60 miles or more out. Ironically, the subsidy involved in getting them the 60 miles to work every day by train, is far more than the “subsidy” to the automobile based development and roads that would have enabled them to have a short car commute – let alone a walk or a bicycle ride. If we were regarding commuter rail as one of a number of potential “means” TO an end, rather than an end in itself, we would dispense with it altogether and run with dispersed-employment, dispersed-amenity urban form. The potential “mode share” increase for walking and cycling under THESE conditions is at least as high as for commuter rail riding under “planned centralisation”, and walking and cycling does not require massive subsidies as commuter rail does. AND housing could be affordable for everyone again……! Submitted by sandyp22 on Wed, 02/27/2013 - 03:23. Submitted by Scott Beyer on Tue, 02/26/2013 - 11:04. After reading this article twice, and clicking several links, I'm still unclear on how specifically California is trying to "destroy our suburbs." If this means allowing rezonings for higher densities--as they're trying to do in Hollywood--that isn't "destroying" anything. It's simply allowing the market to work through deregulation. It's also worth noting that a lot of the suburban sprawl, especially by minorities, is not because of consumer preference, but high housing prices within city centers. Such prices have led to the dissolution of inner-city communities by gentrification. The solution to this obvious demand to URBAN LIVING is not to build more suburbs, per se, but to ALLOW more infill housing in dense cores. Overall, though, I agree with the author--rather than subsidizing this and restricting that, just allow the market to work. If that happened, one would probably find the rise of BOTH urban- and suburban-style housing...and that's a good thing, for the economy and consumer freedom. Submitted by Racaille on Mon, 02/25/2013 - 11:20. "In greater Los Angeles, there are now three times as many Asian suburbanites as their inner-city counterparts." The suburbs are cheap and they are going to get a whole lot cheaper. Institutional buyers of financially troubled properties will make sure of that.